If you want to have a fantastic relationship with someone who is worth being with, you have to feel like you are worth it too whether that is in your current relationship or to attract deep connection in a new relationship. The emotional power of our love relationships is what gives us the most fulfilment. Relationship counselling will help you figure out where you are in your relationship, where you want to be and what’s stopping you from having it all. What used to fulfill us, may not provide the same fulfillment further down the line. Everything in life must grow and develop. A desire to make a relationship work is powerful regardless of your past. As is a desire to improve your life, with the self-influence to support your personal desired outcomes. There are three levels of relationship, and some people go from one relationship to the next attracting the same old patterns of behaviour because there is an unhealed part of themself that requires attention and healing through awareness before real connection can take place and grow. 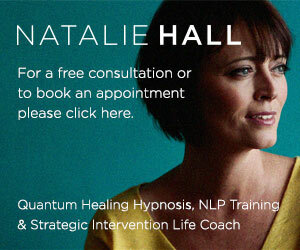 The Relationship Counselling I offer is in the form of Strategic Intervention Life Coaching . This will enable deep awareness of yourself. So whether you are experiencing challenges in your current relationship, divorced and navigating life in a new way, or are single and looking for love. You can discover what triggers ‘your buttons’. How to understand what your emotions are telling you, how to speak up, how to manage your state, build your confidence and love yourself, discover what drives you, conflict resolution, forgiveness, update your values and what you really want and how to best influence your situation. The emotional signal you then put out is aligned with the best version of you, confident in your own right. Experience what’s possible when you transform your beliefs and eliminate your fears. Dynamic relationship coaching is facilitated in your personal session. You will have processes to take with you to support your personal and relationship growth and to understand what psychological human needs are behind your emotions driving your behaviours. And if you would additionally like hypnotherapy within your session then you’ll also receive your personalised hypnotherapy recording. Take Relationship Counselling action now and get in touch. I offer Relationship Counselling on a 1-to-1 basis in Bournemouth, with my local clients travelling from Poole, Bournemouth, Christchurch & the surrounding areas of Dorset & Hampshire.